Is it possible to get free mobile phone and free high-speed internet service? Believe it or not, the answer is yes. I am more interested in the free high-speed internet service but free mobile service would be nice to have. Freedom Pop offers this and they do a great job at providing it. FreedomPop may be shaking up the industry as it carves out a large niche of mobile phone and free high-speed internet service users. Let’s take a look. FreedomPop offers a free SIM Card, free voice mins., free text and free data. Really, they do. They also offer anothre free option for $0 per month, you’ll get to enjoy 200 voice minutes, 500 text messages, and 200MB of data through FreedomPop. Be careful with this one. There could be fees charged for going over the limits. 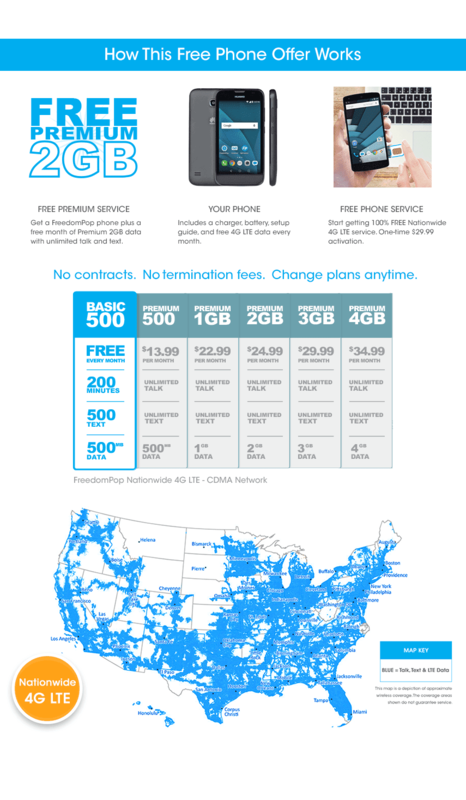 FreedomPop’s newest plan is a bit more robust and may appeal to an even larger group of frugal customers. For $49 a year, customers get 17 hours of calls, 1,000 texts and 1 gigabyte of data each month. That works out to a whole bunch of data for $5 a month. Wifi calling?. FreedomPop offers Wi-Fi calling and texting free calls/texts between phones using FreedomPop, and free international calling in over 60 countries. 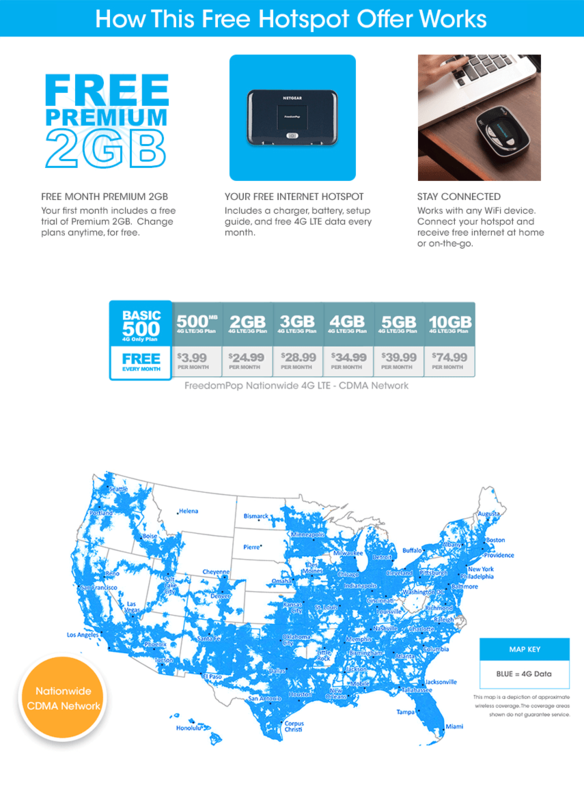 FreedomPop offers free data. The free data plan is not something I could use but it may appeal to some people. Basically, you get 500MB of free 4G data and a free wireless hotspot. Yeah, that is not much but can be useful if you just occasionally check email and surf for information when out and about. As you would suspect, when you sign up for the free plan you are offered a variety of other low-cost plans. Potential customers can pay a few bucks to pick up extra data and about $20 a month for unlimited data, calling and texting. That is still a great price considering what the competition is offering. Purchasing service from FreedomPop can be complicated. You need a valid credit card to purchase service. FreedomPop routinely collects data about users background and phone habits to weed out possible freeloads that may never pay. This builds a profile that FeedomPop use to market their service to the ideal customer. They also closely study the habits of users who pay to strengthen the profile to attract customers with similar characteristics. This practice aids remaining profitable with the slim margins in the business. Another business practice that keeps cost down and allows them to remain profitable is FreedomPop does not own the telecommunications equipment. It offers service through free Wi-Fi hotspots and the cell phone towers of Sprint and AT&T. They pay a bill base on customer usage to Sprint and AT&T just like their customers pay to them. I find it a little disturbing but The two big carriers can see what websites FreedomPop users habits and sites visited. But neither company can legally record or monitor calls as long as only FreedomPop users are participants. I FreedomPop Free High-Speed Internet Service for you? Click Here to get the best offers.